Designed For Squonk Fans! Cthulhu Squonk Genius Adapter! 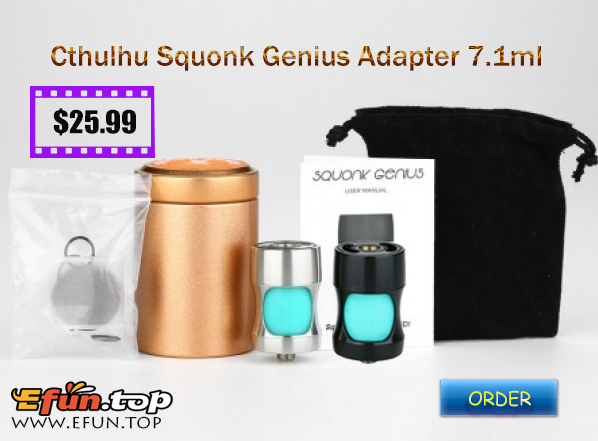 The Squonk Genius is designed by Cthulhu Team and Jacob for squonk fans. Users can sqounk on any mod with it. It's compatible with 24mm MOD and most 22mm/24mm RDA on the market. It holds 7.1ml liquids and user can also use it as liquid container.